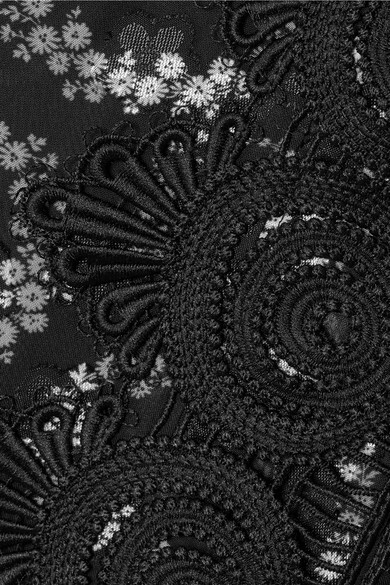 Anna Sui's Resort '19 collection takes inspiration from the designer's vast archives with a particular focus on floral prints. 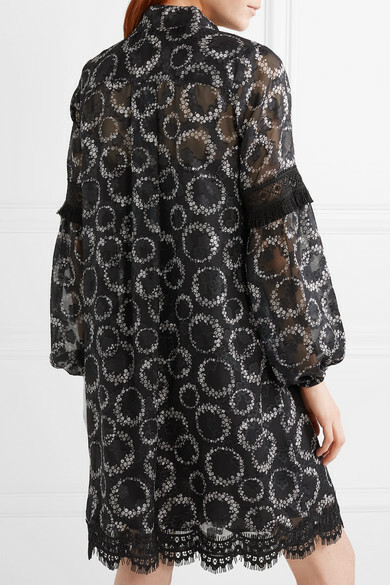 This mini dress is cut for a loose fit from chiffon emblazoned with pretty daisy chains. 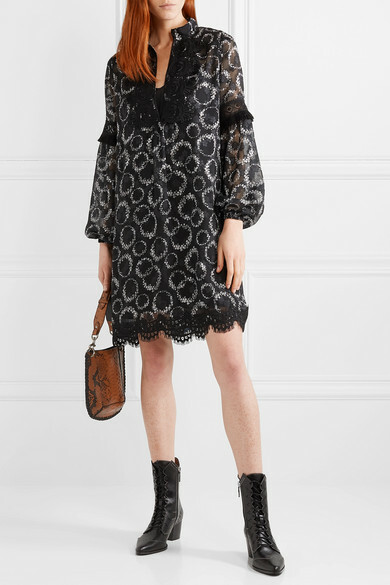 It's detailed with black crocheted lace trims, which are fringed at the sleeves for a touch more texture. Wear yours with bare legs and slides, switching to ankle boots when it's chillier. Shown here with: Isabel Marant Shoulder bag, Tabitha Simmons Ankle boots.